You save $103.00 Drop off School: MINT Museum of Toys Age Group: Parents & Kids (6 years old & Up) 20	Kids have signed up! 1 PARENT + 1 CHILD (6 - 12 YEARS OLD) COMBO PRICE AT $25 ONLY! Usual Price at $140 for both adults and kids! Think of it, how many of you can make toys from scratch!? And it is under guidance of professional toys makers! Enjoy ultimate parenting bonding at this combo price! Trust us, you won't find this price than any other places! Some toys are not just playthings. Some toys have a story of their own and reflect the journey of their maker. Learn about the Door of Hope dolls and Michael Lee dolls from the MINT Museum of Toys. This optional complimentary tour is conducted at the MINT Museum of Toys’ booth. Participants will become toymakers themselves and pick up the same skills that helped improve the lives of the girls from the Door of Hope missionary and refugees working with Michael Lee. They will learn about Pebblechild, a dollmaker that empowers Bangladeshi women by employing them to make crocheted dolls. Using DIY materials they will decorate and dress up their own Pebblechild doll. By putting the final touches onto the doll to make it their own, they will get to be a part of the heroic toy making process too! Since its inauguration, the museum has expanded its collection, amassing over 50,000 items, 8000 of which are on display in the museum. The toys and items hail from over 40 countries and range in date from the 1840s to 1970s. These are displayed across the rooftop, basement and 4 thematic levels of the museum: Outerspace, Characters, Childhood Favourites and Collectables. The collection is made up of various key collections, including Batman, Dan Dare, Japanese character and space-related toys, and collectables. In addition to toys, the museum houses a collection of confectionary vintage tin boxes, large-item displays, such as Mobo horses and pedal cars, as well as original enamel advertising signs. Over the years, these have been incorporated into various exhibitions and programmes run by the museum, serving as windows into the past as well as inspirations for the present. 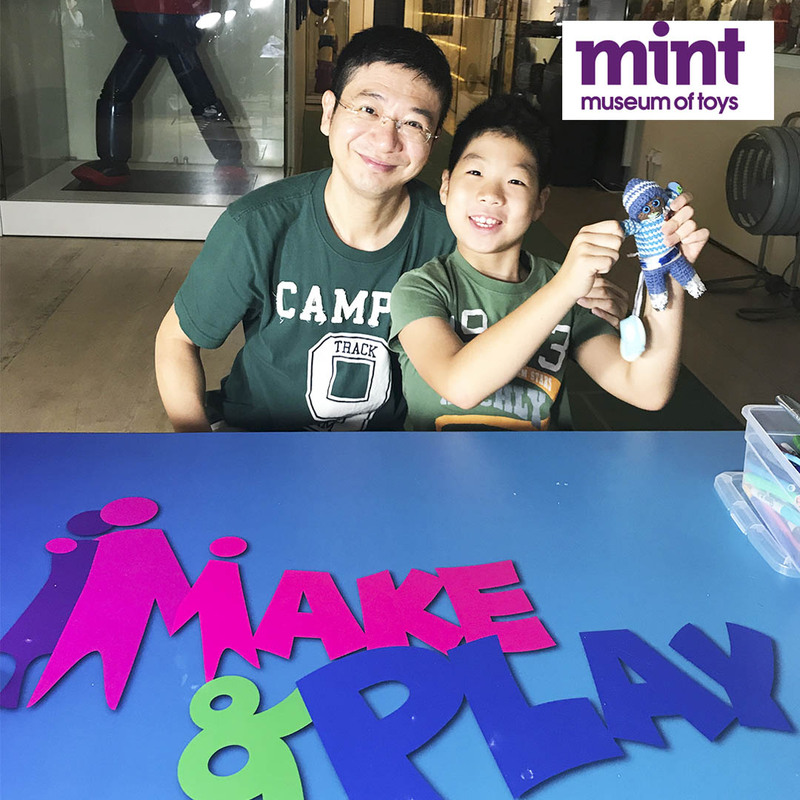 Today, MINT Museum of Toys serves diverse and expanding audiences, including tourists, families, collectors, artists and students. It continues to fascinate and inspire the imaginations of audiences, taking them to on a journey of rediscovery to rekindle that Moment of Imagination and Nostalgia with Toys (MINT).